Fresh from the wooded workshop under the sun. 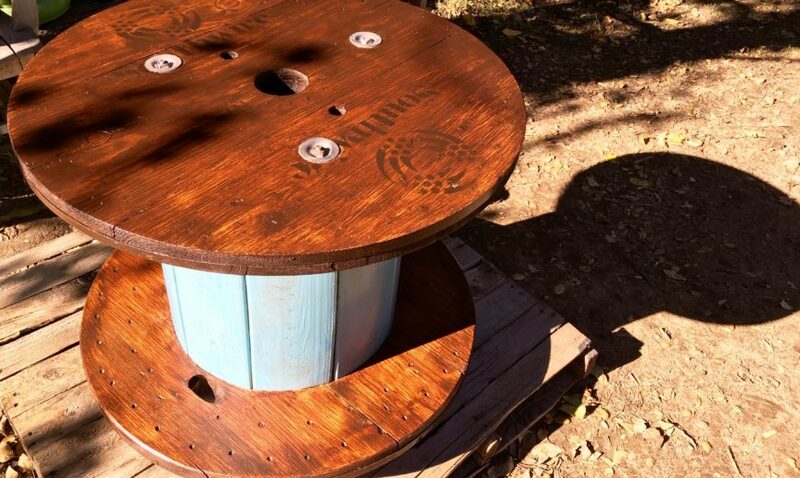 This repurposed beauty was a construction cable spool before we got a hold of it. 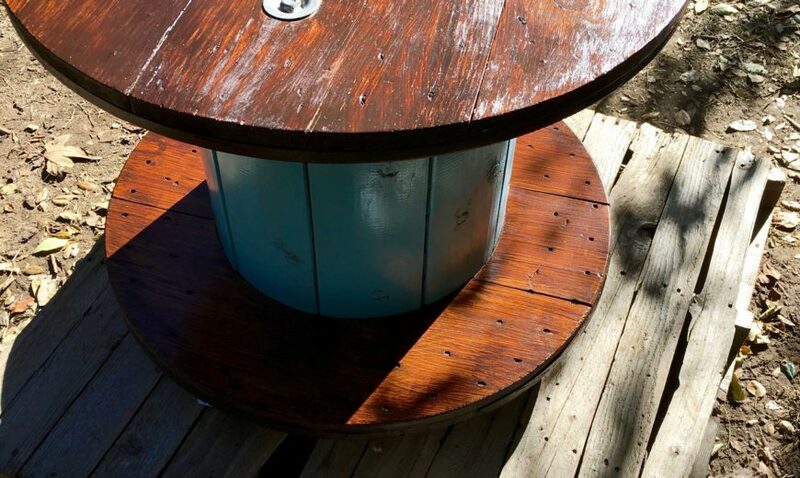 Restored and handcrafted in the Topanga, California mountains, this one-of-a-kind table is distressed with natural imperfections from its former life. This table is ready to work. Or just chill in a corner and stage your Bukowski books and Old Fashioneds. 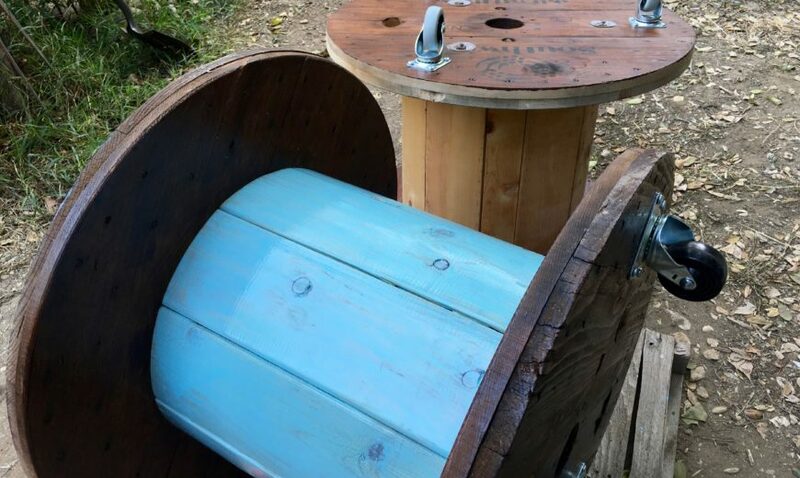 Beautiful natural wood grain, the perfect addition to any industrial, rustic style homestead. Extremely stout and heavy duty, it sits on three caster wheels that make moving it a breeze. Finished with semi-gloss polyurethane, this future family heirloom will outlast you, and be a continual conversation piece. Original markings and signs of use only add to its charm. Exposed bolts give it the industrial feel. Perfect coffee table, bookshelf, cocktail table, end table, or even a night stand. Put this table to work!